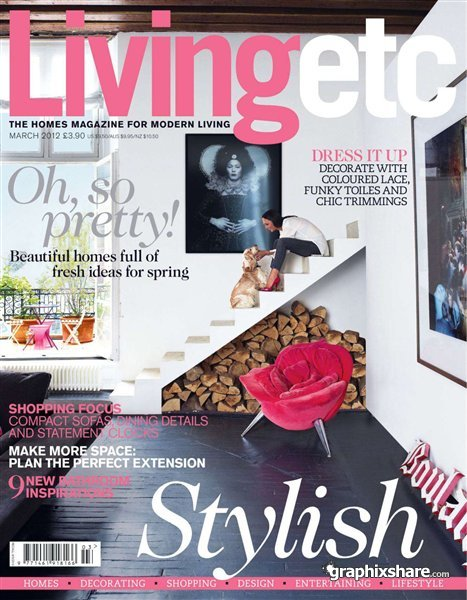 Chuffed to have The LB1 Mid Century Modern ceramic lamp base picked for the Living Etc Agenda pages. Do check out the June 2018 edition. 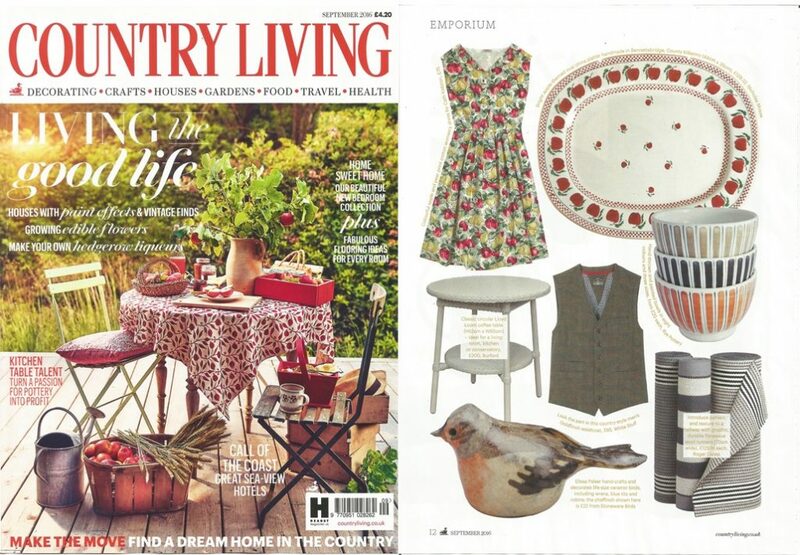 Our thanks to Country & Town House magazine and The Insider team for featuring The LB1 – our Mid Century Modern Ceramic Lamp base in their May 2018 Edition. 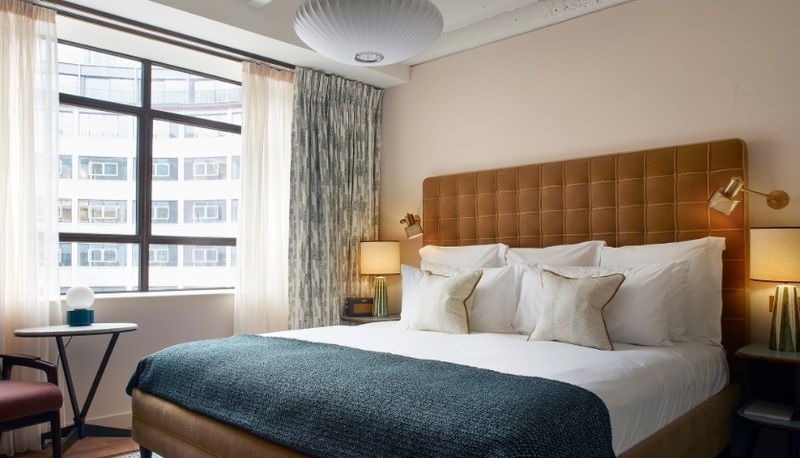 We’re very pleased to see Soho House’s latest venture unveiled publicly and even more pleased to see our specially commissioned Mid Century Modern Lamp Bases in situ! Their latest hotel and member’s club is in London’s Shepherd’s Bush, housed in the former BBC HQ that used to flash up on the telly. You know – the iconic round 60’s “doughnut” building with the famous sculpture of Helios in the centre. 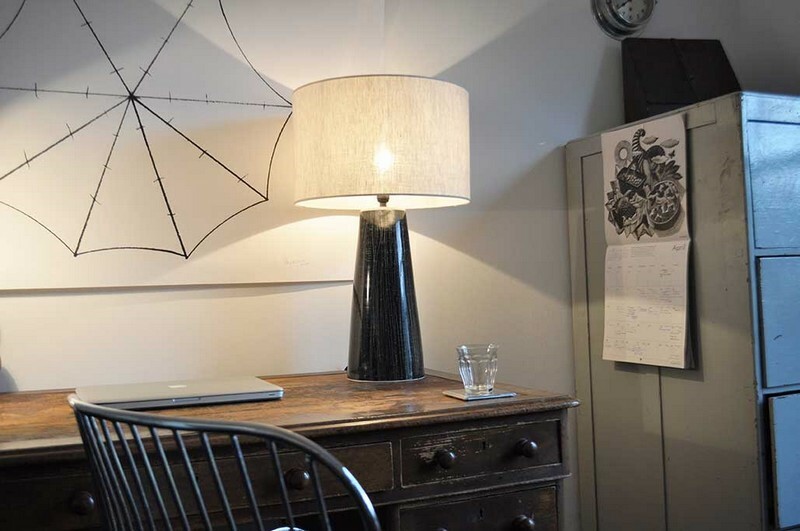 Choosing our medium LB1, we were asked to create 92 table lamps, 2 for each bedroom. The Soho House interiors team of Daisy Bere & Linda Boronkay first picked one of our own revamped 1960’s patterns (Black Astrakhan) and then complimented it with 2 further mid century-esque designs alongside one specifically developed for the project – the all new Soho Stripe. 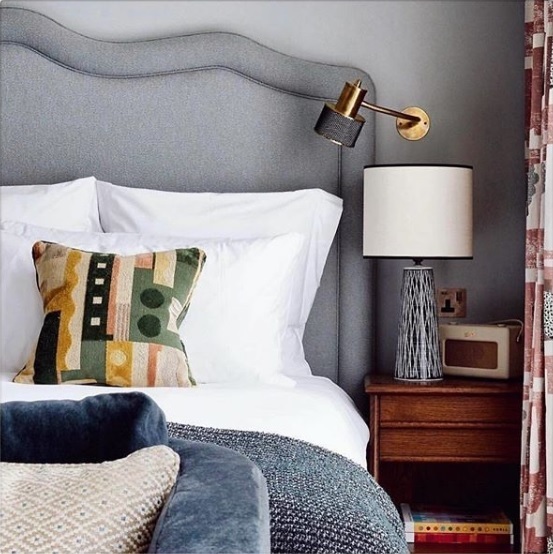 You can view our full range of lamps by clicking here, but for now here’s another pic of one of the cosy White City House rooms. Oh and did we mention there’s a swimming pool on the roof. With a bar…..
We’ve just finished a great commission for one of England’s finest wine makers – Gusbourne. They’re just over the border in Kent and on top of producing delicious booze they’ve now launched a new Discovery Tour & Tasting. So if you visit their new restaurant “The Nest” at Appledore, you may well find yourself supping something delicious, while nibbling something local … from one of our beautiful terracotta plates. Do pop in to see us if you make the trip & check out Gusbourne and their wines by clicking here. 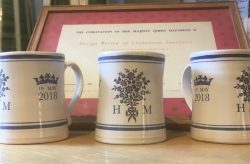 Continuing Rye Pottery’s long tradition of marking significant Royal occasions, we’ve produced a limited-edition run of commemorative tankards to mark the upcoming wedding of Prince Harry & Meghan Markle. 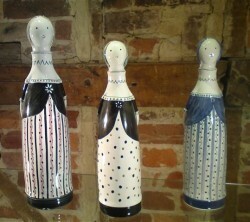 Hand-thrown & hand-decorated in soft Cobalt Blue on a simple white glaze, they are 8-8.5cm high. 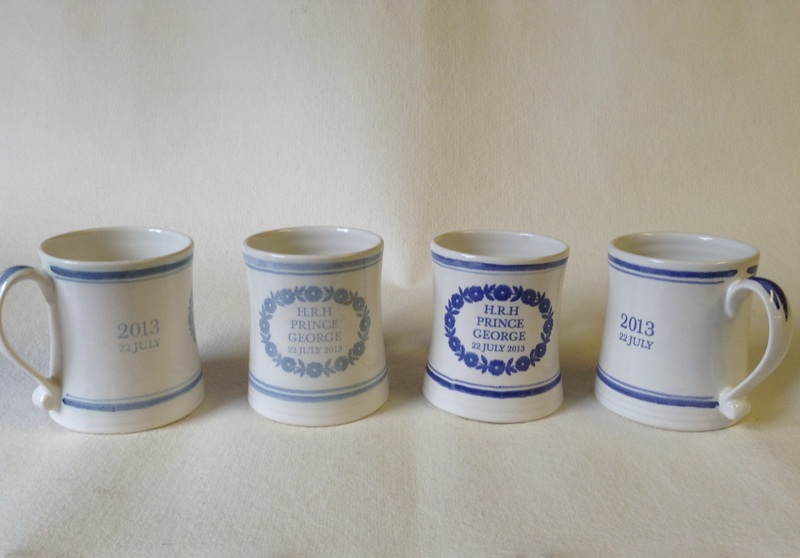 These little mugs have been designed to tie-in with previous pieces produced, particularly those made for the wedding of Prince William & Catherine and Prince Charles & Princess Diana, for whom we were official suppliers to St Paul’s Cathedral. 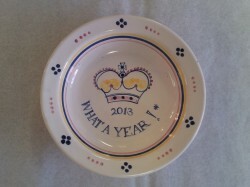 Available from stock or to order, or in our shop in Rye where you might like to emulate Princess Diana’s late Mum and snap any seconds we might have. £ 24 each – Please CLICK HERE to buy one. Our last few tweaks to the final of four majolica decorations chosen by the Soho House Interiors team for their Mid Century White City House project. After a visit from the Soho House interior design team, Rye Pottery is looking forward to working with them on a grand new Mid Century Hotel opening for 2018. 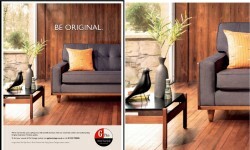 Welcome to the formal unveiling of our Mid Century Modern LB1 Large Lamp Base. An iconic shape from our archive redesigned with a contemporary decorative twist in six different designs. Collection designed & conceived by Josh Cole. Jamie Oliver’s foodie mag “Jamie” included Rye in their recent guide to the best Gourmet Getaways in the UK – and quite right too we say. 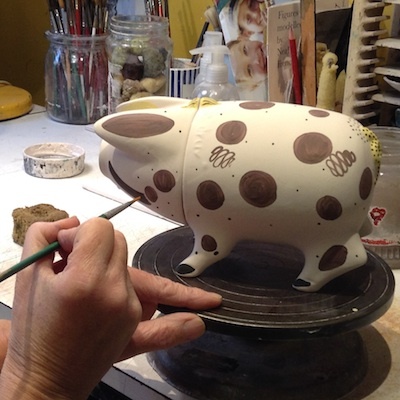 Many thanks to journo Claire Nelson for including Rye Pottery and a pic of one of our decorating team hand-painting one of our sheep. We’re very pleased to say that Margaret Howell in London are stocking our Mid Century Modern LB1 large Lamp Base in two different decorations- All White Tracery & Black Astrakhan. 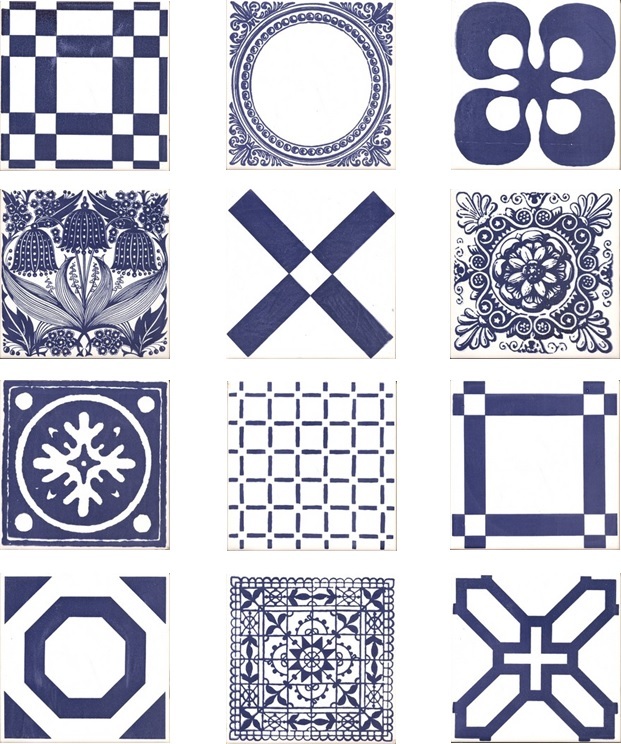 Do TAKE A LOOK at the full range of designs here. The Telegraph Magazine. 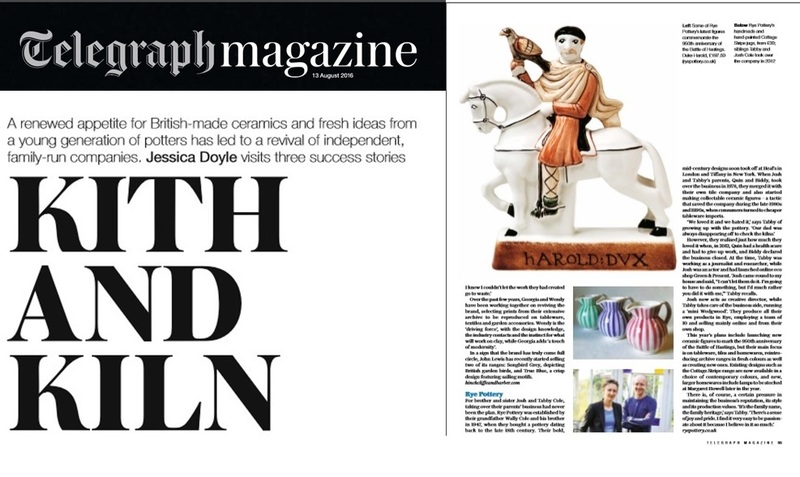 With many thanks to journos Jessica Doyle and Talib Choudhry for including us in their piece about three British, family-run ceramics companies. 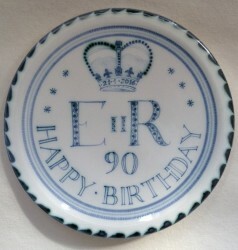 To commemorate Her Majesty The Queen’s 90th Birthday Celebrations Rye Pottery are producing a limited edition hand-made & hand-painted 10 inch plate. 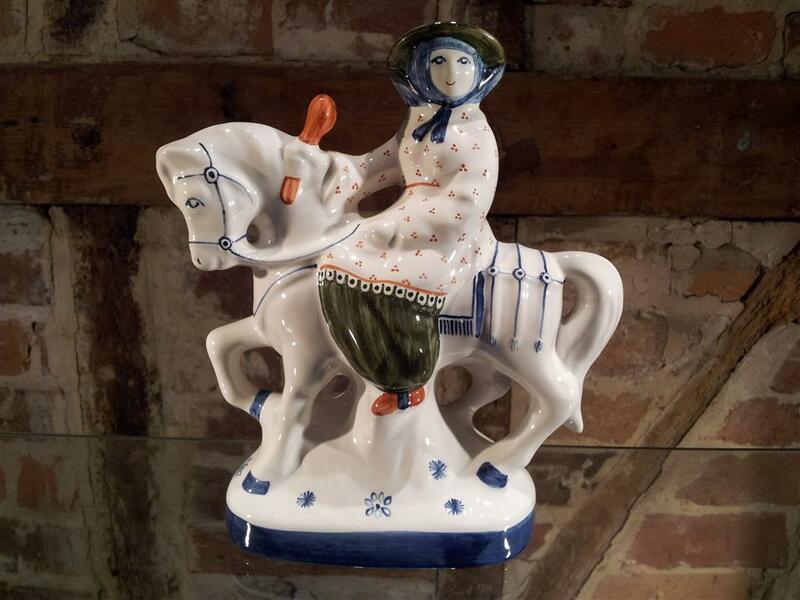 Designed by Tarquin Cole this piece is intricately hand-painted in our classic Blue-Green. The result we believe is an elegant plate that works well as a standalone piece but also ties in with all our designs over the decades for those of our collectors who have them all! 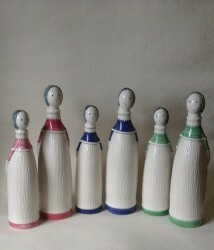 New Collectors do note that Blue Green is a traditional Rye Pottery colour that’s been mixed & by us for over 60 years. This colour produces incredible results & allows us to add immense depth and delicacy to the design using just a single colour. 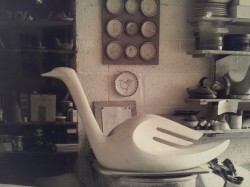 That also means each piece reacts differently in every firing of the kiln so all the plates we paint are guaranteed to differ slightly to this photograph! 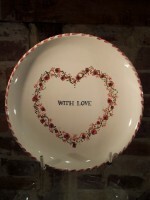 These beautiful plates are £145.00 each with free p&p and will be painted to order for each customer. Our order schedule is currently running at an estimated 6-8 weeks until delivery. Please email us at sales@ryepottery.co.uk or give us a call on +44 (0) 1797 223038 if you would like to order one. Landscape Magazine were kind enough to interview one of us for a feature in their January/February 2016 issue. 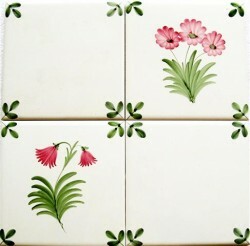 Our Dragonfly Tiles & Striped Pots Go Global & Local! 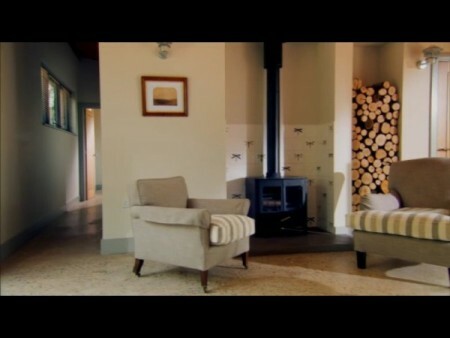 We’ve been very touched to hear from our Collectors around the world of sightings of our Dragonfly Tiles and Cottage Stripe Tableware – courtesy of telly show Grand Designs and James Strangeways’ simple but stylish new build on Romney Marsh. 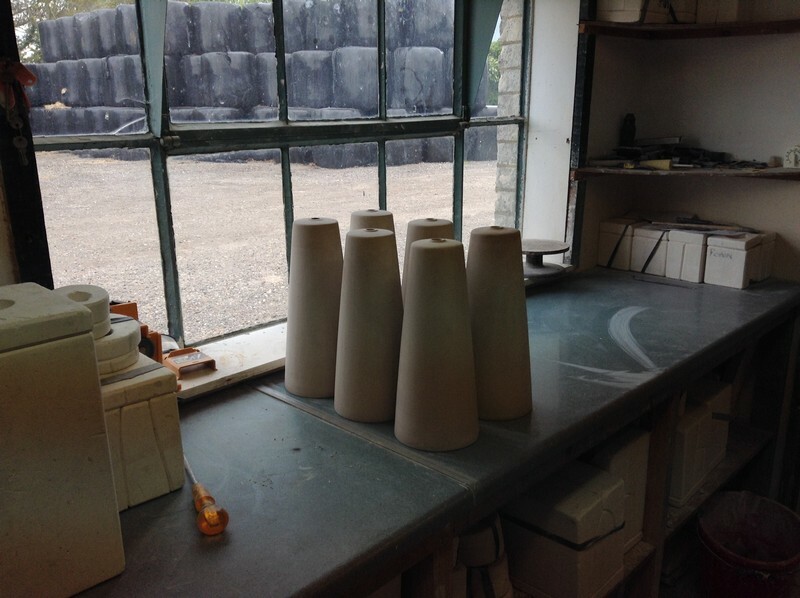 So far we know our work has been seen in Denmark, France, Germany, Canada, Australia and New Zealand, please do let us know if you spot us anywhere else – we’re small enough that keeping tabs is hard as we keep up with making pots. And our talented paintress Julia Catt is enjoying her global fame! 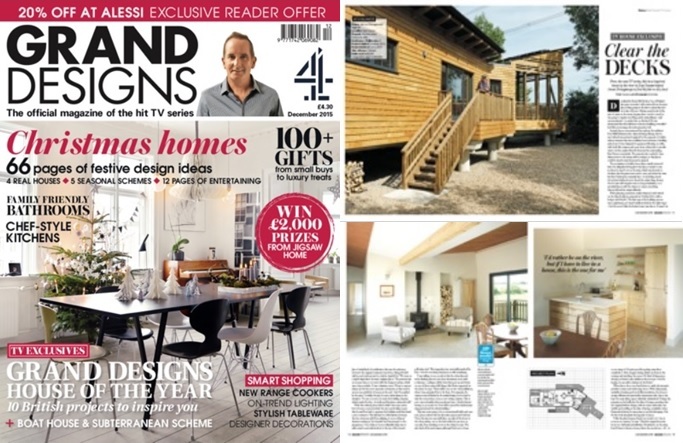 We’d also like to say we were very pleased to see a wonderful interview with James Strangeways closer to home – in Sussex Life Magazine. It’s well worth a read, not least because the interview was after the television programme actually went out on Channel 4. You can read the piece if you click here. 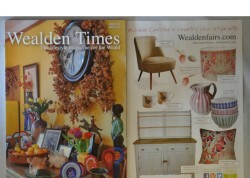 Japanese women’s magazine Liniere リンネル has published an article suggesting readers consider a trip to Rye when visiting London. Thanks to Sayaka Hirakawa and Atsuko Chiba for including us. 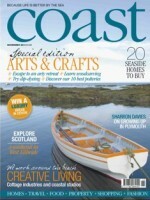 We’re very pleased to say Rye Pottery has been selected as one of Coast Magazine’s “Ten Best Potteries” in the UK. 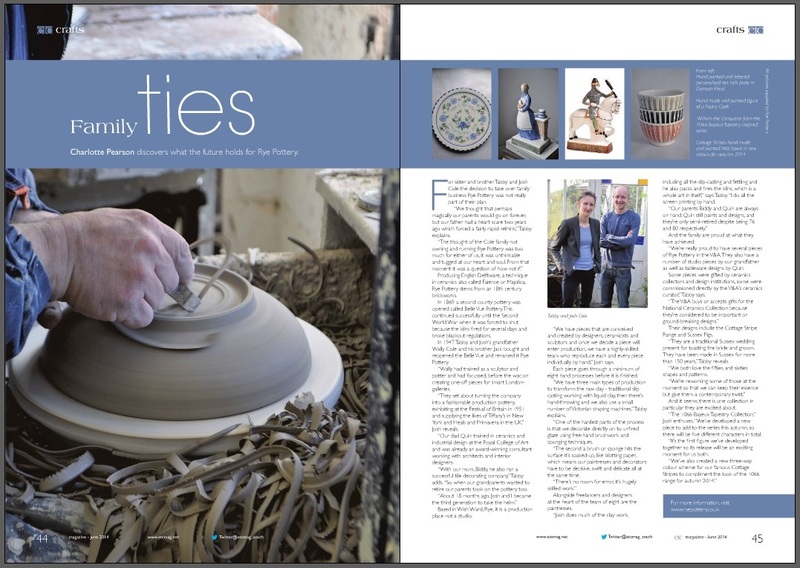 The team at the glossy mag have designed a stylish 4-page feature with evocative pics of life potting and showcasing, well yes us, but also nine other talented potters and firms, not least The Leach Pottery in St Ives, Cornwall. 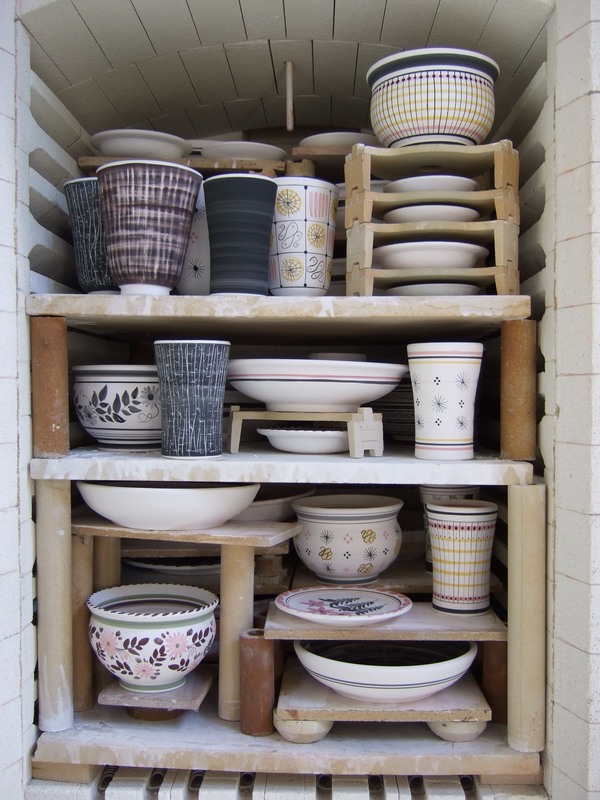 If you love all things ceramic it’s well worth a read and may well give you inspiration about other potters and potteries to visit while you’re out and about in the UK. Many thanks to the journo Alex Reece and the rest of the crew at Coast. 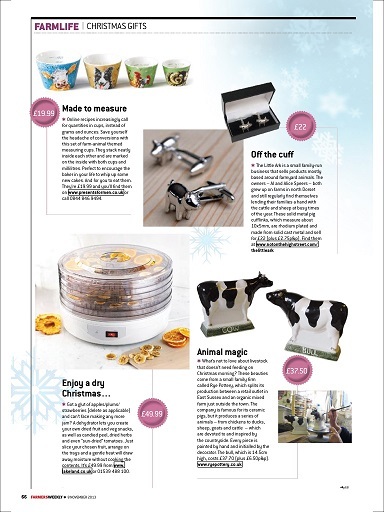 As soon as we get our hands on a PDF we’ll add it in here, but in the meantime, see if you can spot our paintress Karen in the screen grabs below…. she’s painting Cottage Stripes onto one of our mugs. We know lots of our customers like to group these little fellas together, so this spring/summer we’ve produced our popular Ceramic Puppies & Dogs in three (oh yes) new colourways. And collectors will be pleased to know this is the first time they’ve been painted in these colours. They’re designed to compliment our focus this season on Flamingo Pink, Cobalt Blue and our fresh new Paris Green. 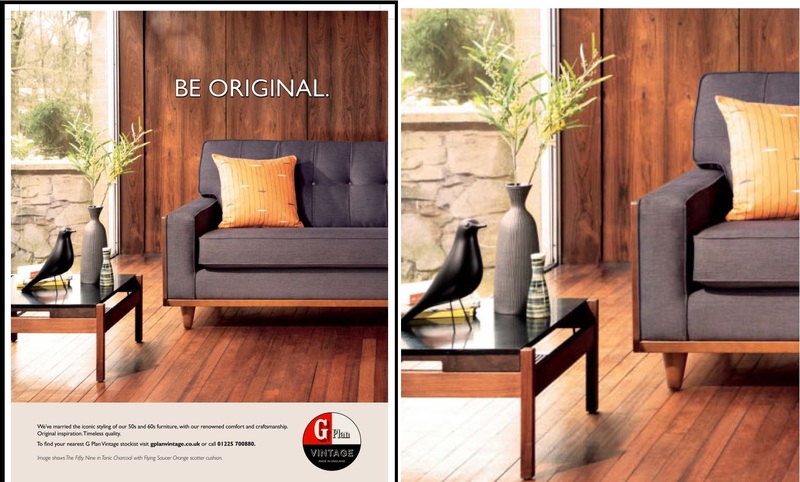 These photographs show one of Rye Pottery’s 50s style little vases in GPlan’s latest collection of sofas, designed by Red or Dead founder Wayne Hemmingway. It’s a Mid-Century inspired collection, a period we’re very still proud of in our history, and one highly sought after by our collectors. This shape has just been brought back into production and is called the Mid-Century Modern v11 vase. And now we’ll let the pictures do the talking. 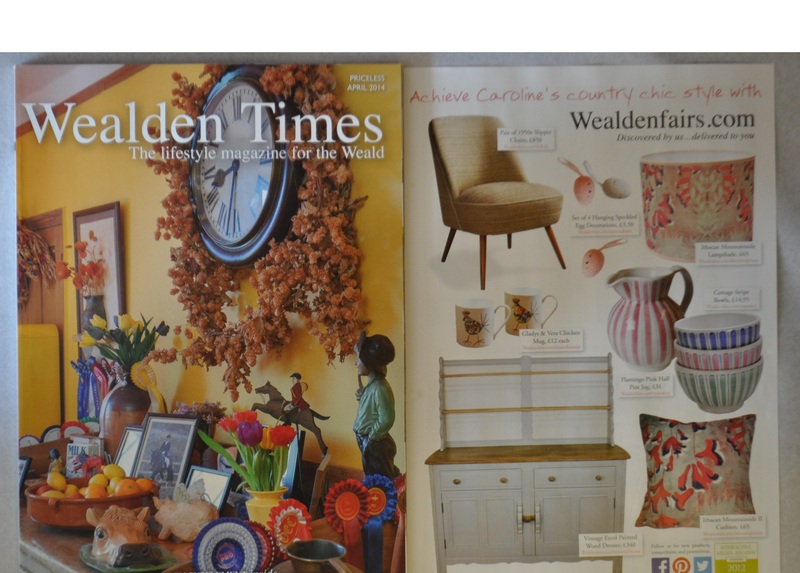 We’re very pleased to see two of our tableware lines featured in the latest issue of the Wealden Times. 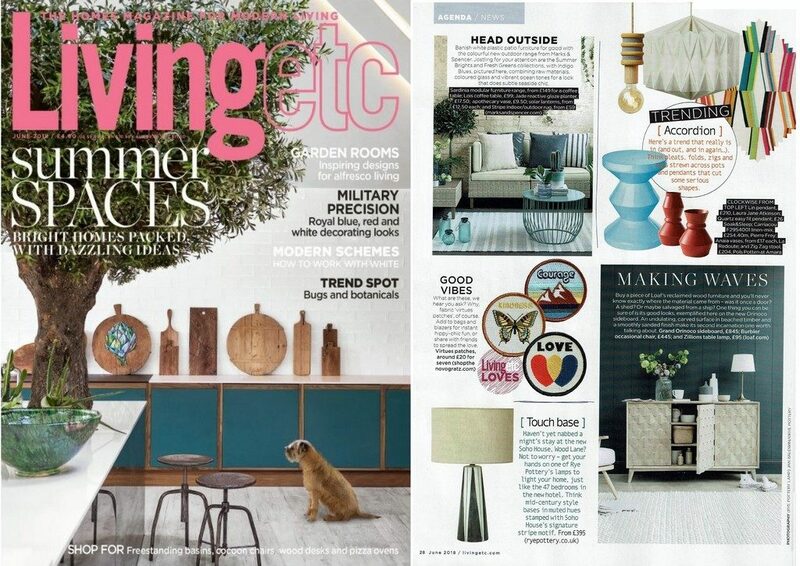 Our stripey Jugs and Little Bowls have been picked for a “Get the look” feature to accompany a fab interiors shoot. We call this pattern Cottage Stripe and it’s been in constant production since the 1950s. The little bowls are the newest addition to the range. They’re a great size that we use at home variously for jam, cream, sugar, olives, tapas … and they also make charming little weaning bowls. 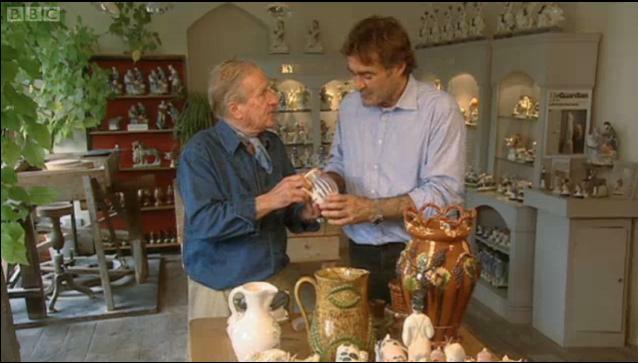 The English Tourist Board – Visit England – has published a select list of some of the best hand-crafted products still being produced in England. 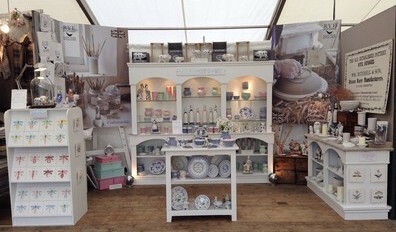 And we’re thrilled to say that Rye Pottery has been included. As a company we’re incredibly proud that all our pieces & Collections have been continuously Made in Britain (we’ve never “re-shored” because we never offshored in the first place) and it’s wonderful to have been chosen. Do take a look at the list on the Visit England website here too. Well who’d have thought it? 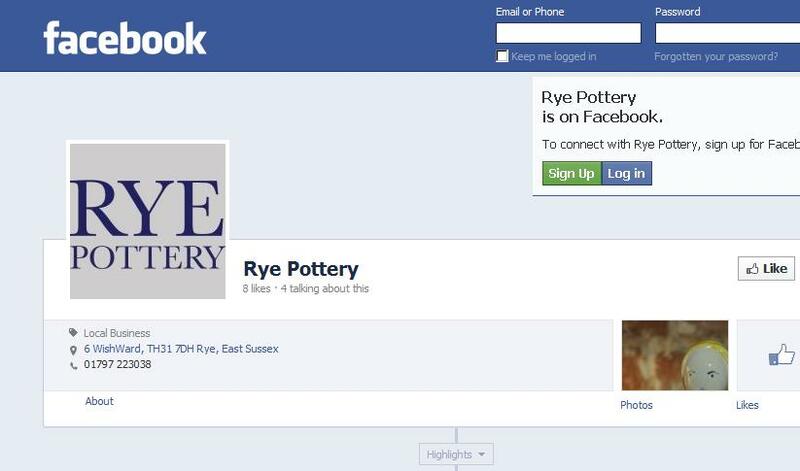 143 years later – Rye Pottery is on Facebook. Go on click here and give us a “like”, it’s Christmas! 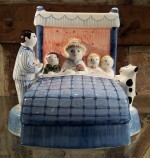 Rye Pottery is on Facebook! We’re extending our opening hours in the run-up to Christmas and we also have a guest appearance in the form of a stylish “pop-up” shop from Josh Cole and his successful online gift company – Green & Present. (Click here for more). Everything in Josh’s shop is on its second life – Recycled, Reclaimed or Reused. Why not “pop in” and have a look – we’re even open on Sundays at the moment for the first time in umpteen years! If in doubt, do ring us on 01797 223038. It is nearly Christmas and we are working our socks off to keep the kiln firing and make sure everything we have promised has gone out in time! 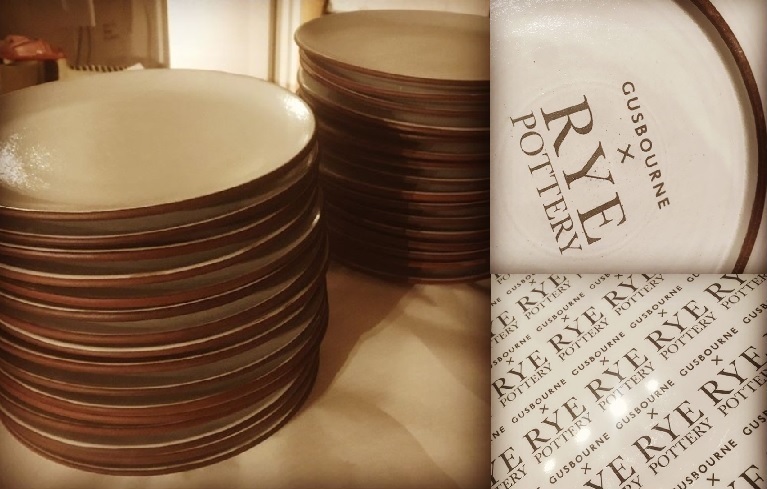 We have this year also been asked for Rye Pottery Gift Vouchers, which we think is an excellent answer to those folk who really have left it too late. Do please call us for one of whatever value you choose and we will be delighted to help. 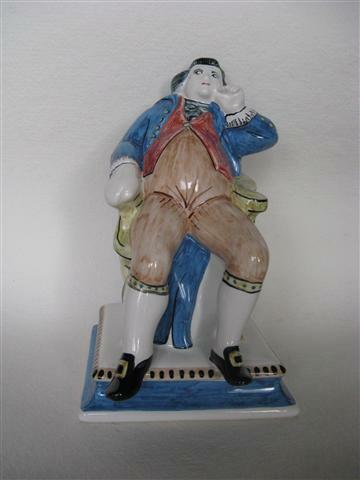 Well I fear we are not as quick as the Neapolitan Potter who already has his pregnant Kate & William figure on sale by Wednesday, but we are thinking hard of what designs we will decide on in due course. First and foremost though I feel we should all wait a while and give the poor girl time to overcome the dreaded morning sickness. I have huge sympathy with that problem having suffered from it for all of my darling children! Radio Sussex rang up on Tuesday morning to ask what we would be doing, which caught me on the hop a little, though I am sure we will do one of our collectable small transfer tankards when next June/ July actually comes! We’ll hope to add the audio of Biddy talking to morning show radio host Danny Pike soon but in the meantime you can listen via the BBC iplayer here. November and no Downton Abbey to watch! So the third Downton Abbey series has finished, what are we all to do I wonder, on dark winter Sunday evenings? 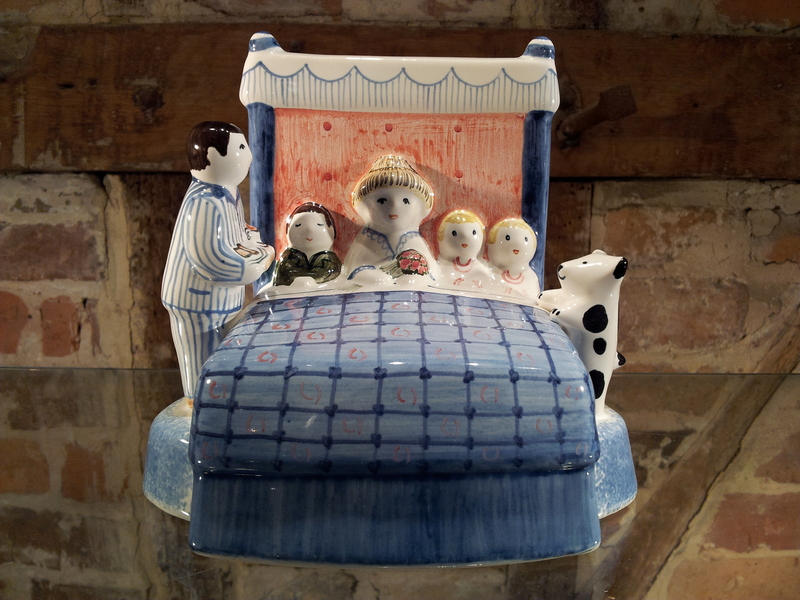 At Rye Pottery we are busy planning all the changes involved in the next Cole generation of Joshua and Tabitha taking over from Tarquin and me. There will be lots of changes with all their new ideas and energy, but I am very pleased that they still want to go on making the lovely Neal French Country House figures, which fit so well with the Downton Abbey lifestyle. Elegant and stylish the Rye Golfers, Gardeners and Cook all blend into the Downton story, perhaps in the next series they will even employ a Male Chef rather like our Escoffier Chef! I was pleased to realise that we already have 2 Rye Cricketers for the anuual Downton versus the village match, though our Batsman and Bowler are from a rather earlier cricketing period they make quite a good match for Mr Carson in his whites I felt! 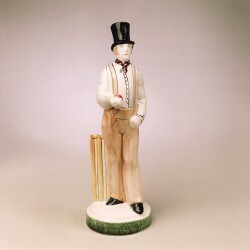 The Rye Bowler: James Lillywhite played for Sussex and England, and also had a few games for Rye, before retiring and helping his family found the famous Lillywhites sportswear shop in Piccadilly. The end of a lifetime! On October 9th Eileen Cole widow of Wally, died in her hundredth year. 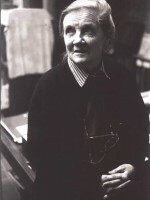 Tiny – barely 5 foot tall – blonde and very feisty, Eileen was Wally’s strength and support over 30 years at Rye Pottery. They first met in 1930 as students at Woolwich Art School and never looked back. During WW2 Eileen, plus small son Tarquin, found digs wherever Wally was posted in England, ending up finally in Farnham while he was with Army Camouflage based at Farnham Castle working on deceptions for the D Day landings. 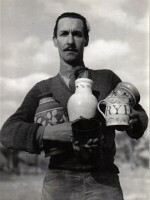 In 1947 Wally was teaching part time at The Central School & they moved into a small cottage in Winchelsea (by now with new baby daughter as well as teenage son), this allowed Wally with brother Jack to re-open Rye Pottery. 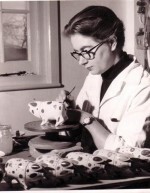 Eileen soon found herself having to make pottery trugs, small vases and silk lampshades as well as manning the “Seconds shop”. After Jack’s retirement in the early 1960’s. 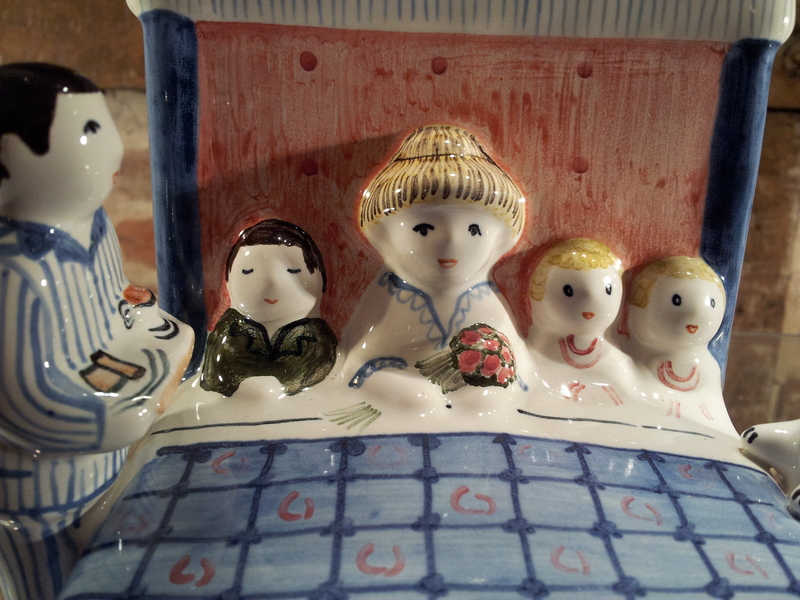 they moved in to live over the Pottery and Eileen she took over most of the everlasting paper work as well. In 1978 although officially retired, Eileen stayed on to man the shop on Saturdays so that Tarquin and Biddy could have week ends with their young family. 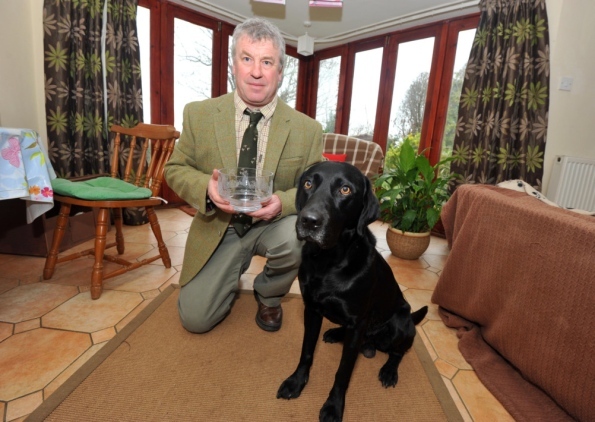 Once retired Eileen was able to give more time to her other great love – gardening. She created a wonderful oasis of cool and calm behind the untidy Pottery development which had grown like Topsy over the years in Ferry Road. Active in Inner Wheel until well into her 90’s, Eileen always loved a visit from old friends & customers happy to have a cup of tea and discuss the good old days of Purchase tax and 3 day weeks! We wish her peace and rest. Our local paper ran an obituary, which you can read here. September and at last some real sunshine. I know that here in the South East, we have been luckier than a great many areas this summer , at least since the beginning of August. We were fortunate to be close to London and obviously benefited from the Olympic sunshine and feel good factor; Napoleon always asked his prospective generals if they were lucky before he promoted them. 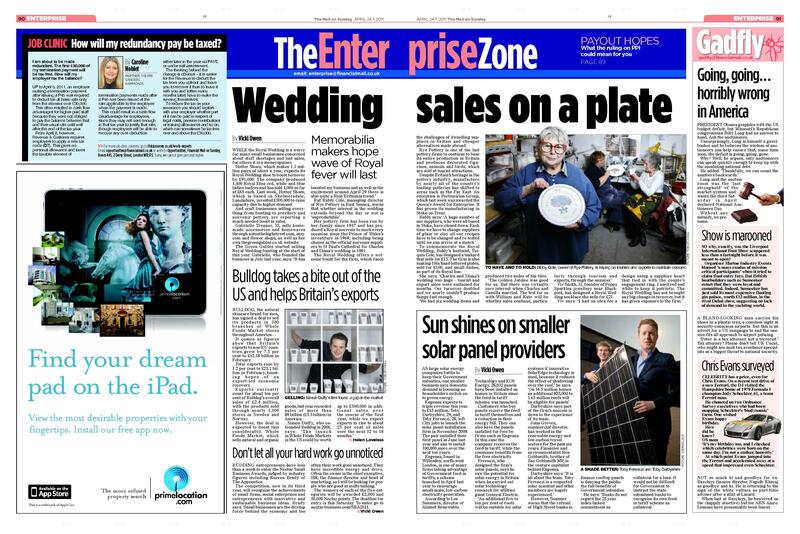 We certainly were lucky to share in Lord Coe’s luck with the weather! Now we we are all back at work painting pots, firing kilns and making changes and decisions about the future. Keep an eye on this space ~ when we know ourselves we will let you all know too! Although this seemingly endless rain has prevented some of the regular April visitors from making the dash from London to Rye this year, we have been very pleased to receve a great many compliments from all the ones who have braved the April showers. So many people seem surprised that we have managed to avoid using the standard Royal photograph as decoration on our Jubilee Pottery, instead we have continued working with images from our very good collection of Royal Heraldry artwork to produce a souvenir that people really appreciate. We have let one customer down though, she really wanted a thimble and somehow Rye has never trodden the souvenir thimble path! We have struggled to find out exactly how Rye Town plans to spend the Jubilee week end, but so far have found a rather large hole in the information available; however I am sure something will be happening then, and in the meantime we have looked out our Union Jack flag so it will be ready to fly from our flagpole on June 2. We are working very hard trying to produce lots of our popular little tankards, but as with all very special things it is quite a process to have one ready to display for sale in the shop. All the tankards are hand thrown on the wheel by Steve Russeell, who works to carefully pre-set measurements, but of course with anything totally hand made there must always be room for a little variation in width and height! 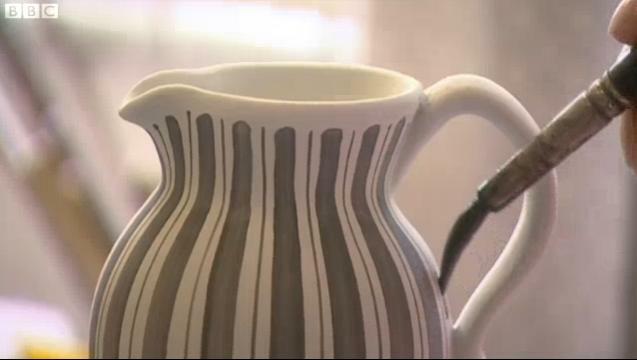 This clay mug is then bisque fired and brought down to our decorating workshop in Rye, where Julie Catt glazes it, then paints the bands around the top of the mug and puts the dash onto the handle then it is back into the kiln again. Finally Betty Sayer having printed up a folder full of transfers will apply the transfers carefully, including the Rye Pottery backstamp and it is ready for the final firing in the kiln. 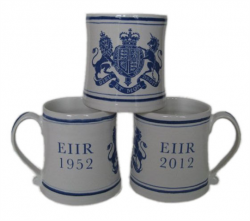 So as you will appreciate we really do sell a Diamond Jubilee Tankard which is both hand made and hand decorated here in Rye. 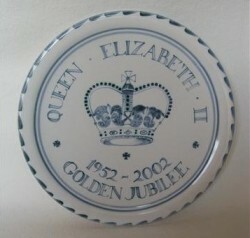 Although the first week end of June will be the time for the main Diamond Jubilee celebrations, February 6th is the actual date of Her Majesty’s accession in 1952. 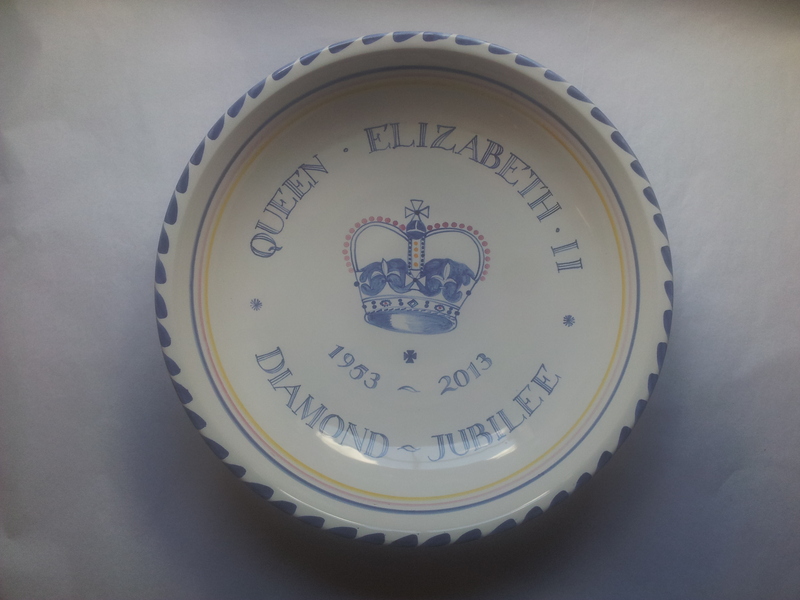 We have been working hard to have some special pieces ready, we had already sold our first handpainted plate sample to a regular customer who is involved in various civic celebrations, fortunately we have painted a few more which we have now fired! We are planning to have a display in our shop of some of our Commemorative Jubilee pottery which we will hope to change as and when new pieces appear! Our current problem is that somehow we have managed to only put one of the 2 relevant dates on the first trial batch of little tankards. At least this is a fault we can easily put right, just need to stay awake while putting the transfer onto the tankard; unlike the plate we painted for the Queen and Prince Philip’s Silver Wedding in 1972 when we managed to write PRICNCE (sic) instead of prince and did not notice it until it was fired and ready to go on display! 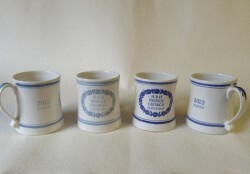 STOP PRESS correctly dated tankards with the right dates just starting to come through the system. So we’ve just had a call from the folks at interiors magazine Living etc, asking for a number of our products for upcoming photoshoots. All in all, three products are being dispatched as we speak, one of our charming Rye Rabbits in London Grey Sponge, a pair of our Charcoal Cockatoos and last but not least, William the Conqueror from our 1066 Bayeux Tapestry inspired series. So keep those eyes peeled! 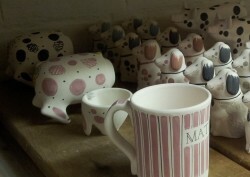 So we have finally arrived, last parcels sent off and the last kiln fired! 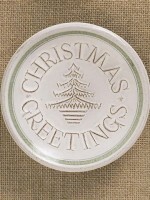 Our shop will be open until 3.00pm on Friday December 23rd 2011 and then we are closed until Tuesday January 3rd. We would like to thank all our Rye enthusiasts for continuing to support us, and we wish you all, wherever you are in the world, a happy and enjoyable Christmas and a healthy and peaceful 2012. Years ago we were asked by Brighton Pavilion to produce a pair of Regency figures based on some of their wonderfully vicious James Gillray cartoons.One of the figures was The Prince Regent and the other was Maria Fitzherbert. Their unrecognised morganatic marriage took place on 15th December 1785, but sadly, despite his genuine love for her, his increasing debts and extravagance meant he had to to agree to King George III’s terms and in 1795 he married his cousin Princess Caroline of Brunswick. This royal alliance was a disaster from day one, resulting in an official separation a year later, and producing such dislike on both sides that as George IV in 1820 he even forbade her admittance to his Coronation. 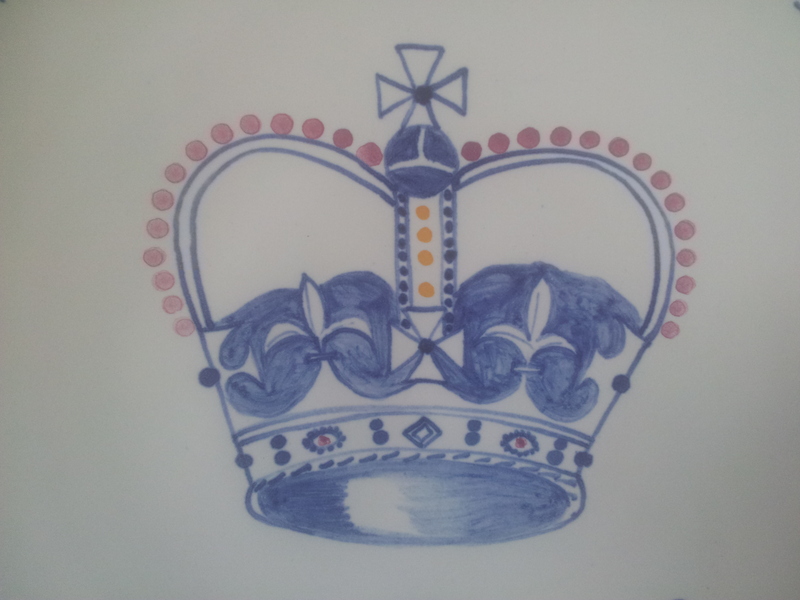 >> You can find out more about them both by clicking this link which will take you to the Royal Pavilion’s website. Our poor kiln here is working so hard it hardly has time to cool between being unpacked and repacked and switched on again. For safety reasons the kiln is on the ground floor here, but the heat comes up through the floor boards and keeps my feet pleasantly warm. The other useful byproduct of firing the kiln is that over the years it has caused the floor boards to warp a little so that customers simply cannot come in and out without us hearing – so much easier than keeping a dog to bark at them! So December has arrived and the cold weather with it, our fingers are well crossed that we do not have a repeat of the cold and snow of last December. The general feeling of panic and chaos in our building would no doubt keep us warm however cold it was outside, as we frantically try and make sure that we have all the right figures for the last minute mail order customers, who somehow over the years, have never quite understood that in a small pottery it is not always feasible to carry large numbers of every single piece we produce. We hate to upset or disappoint any customer,so we work very hard to second guess all the last minuters, but sometimes it just is not possible. So if you are one of the unlucky would- be -buyers, we apologise in advance. Why not give them an IOU and we will send it in January as a pick-me- up for the post Christmas blues? Rye has now switched on the Christmas Tree lights and on Saturday 10th Father Christmas is arrving at Rye Station with his reindeer and then will be driving around Rye to the Christmas Market on the Strand Quay to hear the Victorian carol singers ! It is the last week of November and we finally managed to remember where we had put the Christmas decorations last January! June & Betty had a very busy day sorting everything out and we are now as festive as the proverbial Christmas robin. As usual the moment we started to dismantle the previous window display we had a a run of customers all wanting to buy something fron the things we were carefully putting away. This had been a seaside theme, using our various donkey figures with or without riders, along with The Netmenders and The Fisherman’s Tale. 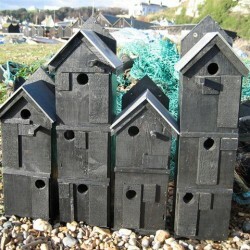 To add a little scale to the nautical scene, we had included some very nice nesting boxes made from reclaimed wood and modelled on the iconic Hastings black timber fishing sheds, which are sold by our son Josh via his on line shop www.greenandpresent.co.uk and suddenly from no sales of the boxes in 2 months we found we had sold all five of them as we tried to pack them away! With our windows now shining and twinkling we are all set for Rye’s Christmas Festival which starts on December 3rd with the switching on of the Lights and the High Street Christmas Tree followed by a firework display. More about the Rye Christmas Festival plans next week. 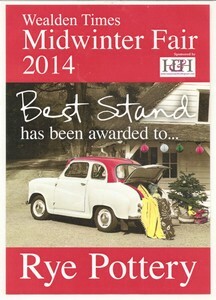 Every November Rye hosts a spectacular Classic Car event. 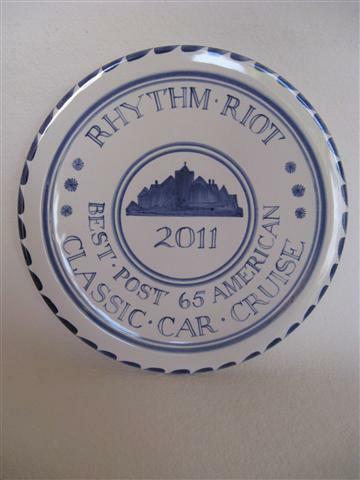 This year in warm sunshine, the carefully preserved and polished cars with drivers and passengers similarly shining and glowing, processed around the town before lining up to be judged by the Mayor of Rye, the winners receiving a hand painted Rye Pottery plate to mark the occasion. Listening to the Today programme this morning while potter/ author Edmund De Waal was being interviewed, we were delighted to hear him describe potting as “A tremendous art which we should all take seriously.” It is always amazing and indeed rather off putting to be told by a customer looking at a one-off hand painted pot or tile ” Ooh that is very expensive” while telling you of the lovely “art print” they have just bought for a much larger sum of money! We have always felt that not only is a pot just as beautiful as a painting, it often has the additional advantage that you can use it as well as look at it. Here at Rye Pottery we produce a considerable number of one offs at, what we think, are remarkably low prices, especially when you have just opened the kiln to find that 3 or 4 pieces have decided to shatter during the firing cycle. 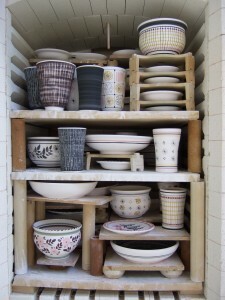 The flip side of the coin is the joy and excitement that opening a good kiln brings to all of us. 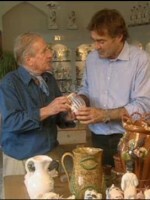 Better than Christmas – is how Wally Cole used to describe handling a newly fired perfect pot which had come through its ordeal of fire with the final result excelling anything you could have possibly imagined. De Waal perhaps should have added this morning, that Potting is also a disease for which there seems to be no known immunisation! We’ve been looking on the web and spotted there’s one of our popular Mid-Century Classics for sale on ebay – a vintage MISS SIMPLICITY bottle. These bottles in 2 sizes were originally used for Oil and Vinegar. 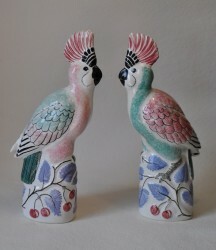 They were designed by Wally’s brother Jack Cole in the early-mid 1950’s, not as stated in the text for the one for sale on ebay, by Marjorie Cole. 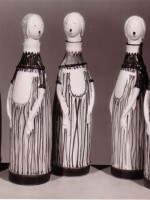 Marjorie was Jack’s wife and she produced some very collectable Pottery dolls in the 50’s – just not this one! A very, very few were made and production had stopped by the early 60s, but we have traced about 20 of these very charming one-offs. Sadly Marjorie in later years destroyed any she could lay her hands on. 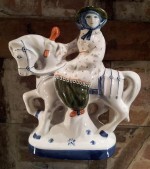 Jack did not really like his Miss Simplicity, (we have this in a letter on file in the archive) but despite his artistic misgivings she was without doubt a very popular piece at the time and still with collectors today. We recently rediscovered the long-forgotten moulds for Miss S while trawling through our Mid-Century archives. We’ve been working on plans to revitalise and refresh some of our classic pieces and designs from this period, and Miss Simplicity is such a favourite for us that she’s certain to be part of that. So far, we’ve decided she will be reborn in the 21st Century with a fixed head that faces in a different direction! Next up is the decoration development stage. To the right you can see some samples we’ve been working on – absolute one-offs that a handful of collectors have been lucky enough to snap up in our shop in Rye. But there are lots more decoration ideas we’re working on, so watch this space, because her outfit’s not finalised yet. When we decide on the first design to officially enter production we’ll be sure to let you know here. If you want to be one of the first to find out when Miss Simplicity is available to buy, visit our shop in Rye every, single day … or alternatively just sign up for our newsletter at the top right corner of the site. Rye has a special feel in November, like a great many East Sussex towns and villages it has a thriving Bonfire Society whose hardworking members stage a flaming torch lit procession around the town, with a magnificent firework display and huge bonfire down on The Salts-this year’s date is Saturday 11th. The whole day has a special excitement with the scent of smoke & darkness and members of other Bonfire Societies marching around the town most of the day in full costume. Rye’s tradition goes way back beyond Guy Fawkes to medieval days when our local fishermen and their opposite numbers across the Channel in France were continuously raiding each other and setting fire to the fishing boats. There is always a “ Burning boat” bringing up the rear of the procession to this day, though its more mundane task now is to collect the burnt out torches. Grown-up children who have long moved away from Rye make a point of trying to be back for Bonfire Night. >> To find out more visit the Rye & District Bonfire Society website here! Today (31st October 2011) Tarquin has been asked to help identify an early 20thcentury “Sussex Pig” for a collector, but the consensus from all the local experts was that it was nothing to do with Rye. Too many things did not match up, colour of the glaze, the lettering technique and of course no basemark at all. It looked as if it was cast from a mould so beware there could be more about! 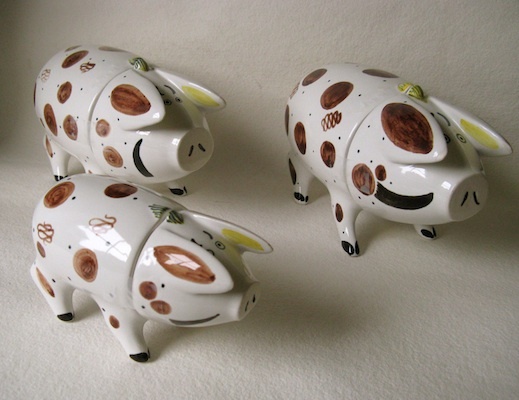 Note to the wary: Pre war Sussex Pigs were all thrown by hand & not made in a mould. 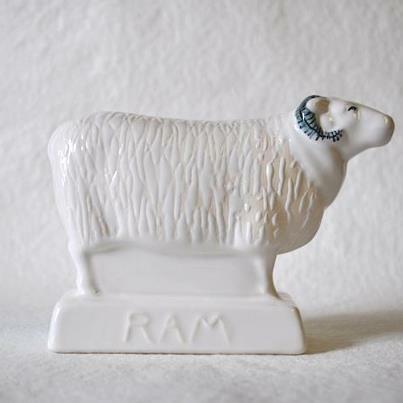 Here at Rye Pottery we do not reproduce pre-war pieces and any post-war designs we do introduce always have our current Rye Pottery mark, or “back stamp” as we call it in the trade, to make sure there can be no confusion. >> We hope one day to add more about the various marks used to identify Rye Pottery in the future, but in the meantime, click here to find out how our backstamp and initialling systems work – both now and in years past. We had a wonderful family outing yesterday. We went up to the King’s Head in Islington to see our son Josh Cole who is in Kvetch, which is running there until November 4. Lovely as ex-Londoners to be back there even if only for half a day, the weather was perfect, but seeing all the shops full of Hallowe’en things did make us quite glad that witches, ghouls and ghosties are all a bit spiky and not really suited to our sort of pottery! We think we will stick with October 25 marking 611 years since Geoffrey Chaucer died. >> You can read some of the reviews and book tickets here. 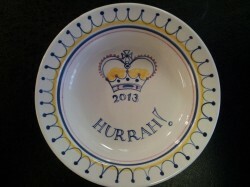 OCTOBER seems to be a month full of important dates for Rye Pottery. First The Battle of Hastings to remember on the 14th while October 21st is the Anniversary of the Battle of Trafalgar in 1805, as a former naval officer Tarquin felt Rye had to have its own NELSON figure to mark the 200th anniversary in 2005!, Last but not least October 25 1400 marks the death of GEOFFREY CHAUCER. Chaucer should be remembered not only for his wonderful literature including THE CANTERBURY TALES, he was also Clerk of the Works to Richard 11 from 1389 and as such he is thought to have been responsible for the building of Westminster Hall; he is the first poet to be buried in Westminster Abbey. Today is the Anniversary of the Battle of Hastings in 1066, I wonder how many figures in our Bayeux Tapestry series we will have to mark the 950th Anniversary in 2016! 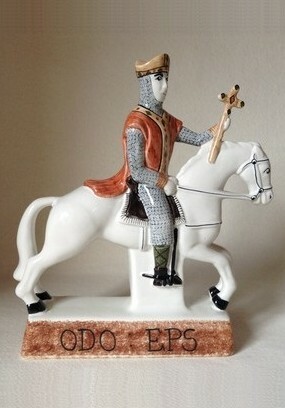 >> This is an ongoing series with new pieces to be added in regularly, to take a look at the current beautiful figures in our Bayeux collection click here. 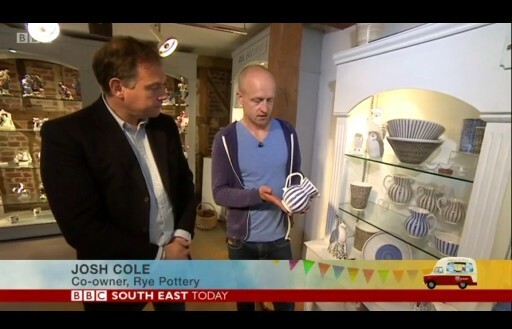 I spoke direct to camera in short sound bites, which could be translated later, ending by inviting their viewers to be sure to vist Rye Pottery and Rye. It took 3 takes for them to be happy while I felt more and more stilted with each retake so hope it will sound reasonable when it is finally shown. 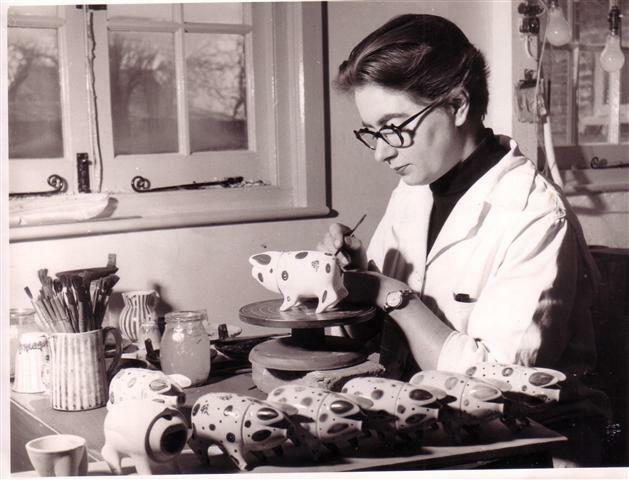 Fortunately they also took some lovely shots of Jane Davies glazing and painting a Rye Rabbit . Jane was of course lucky enough to have something useful to do with her hands while they filmed her, unlike me who was filmed just standing in our shop with our wonderful medieaval wall as a back drop. They have promised us a copy once it is all edited. So fingers crossed! 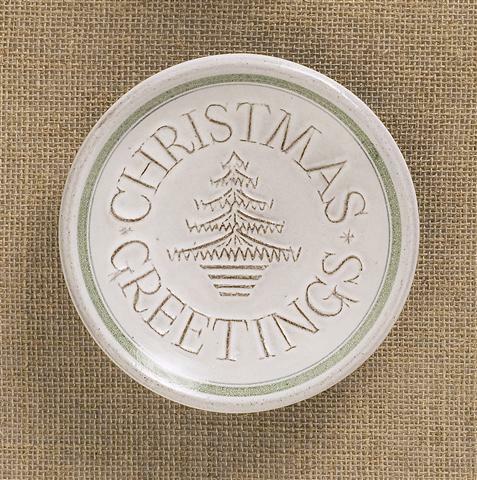 We are adding new pages in all the time and trying to ensure there is plenty of information about the Rye Pottery range for you to find without too much hassle. Please let us know what you think we love to hear from you. 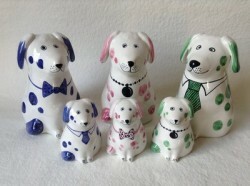 New Website & an update of some of our latest pottings! During the long damp summer June Woolley who retired in 1998 after 45 years, has been back in the attics peering through our amazing archive, not least the from the Mid Century. 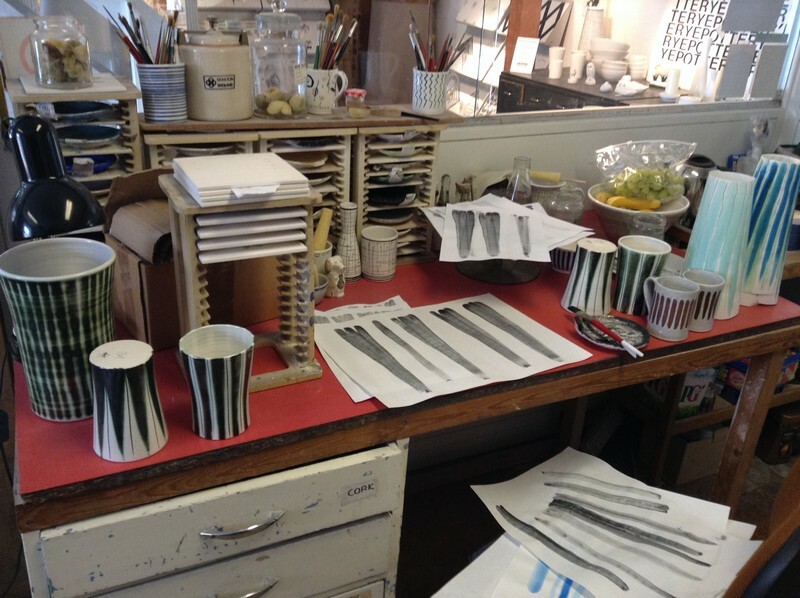 The result of all this activity means that we have some really exciting one-offs in the shop – early 1950’s patterns painted by June onto vases and bowls. So not only are we one of the few country potteries still in existence today who were selected to show in one of the pavilions of the Festival of Britain, here 60 years on are some of those same patterns. 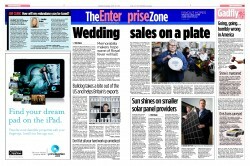 Biddy has just been interviewed for a piece in this weekend’s Mail on Sunday about William and Kate’s imminent nuptials. 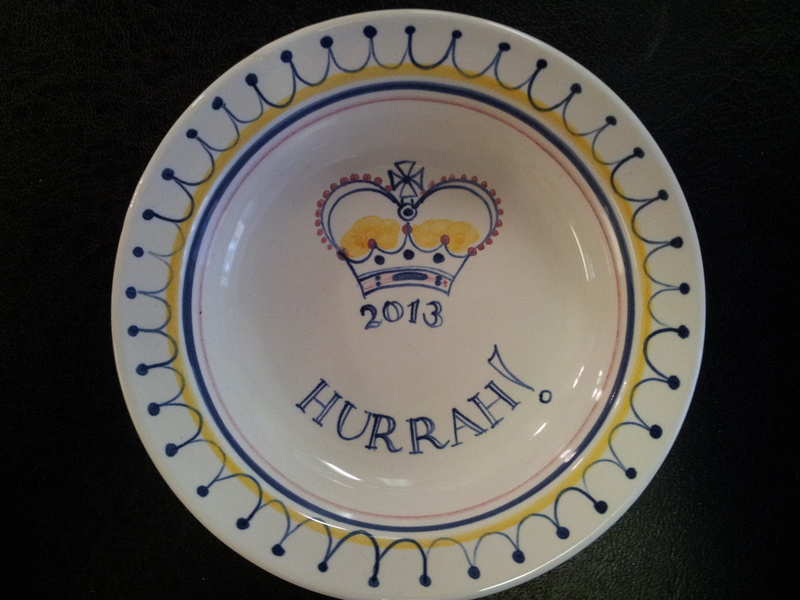 Rye Pottery has been producing commemorative pieces to mark every Royal occasion since the Prince of Wales’s investiture in 1969 – and the upcoming Royal Wedding is no exception. 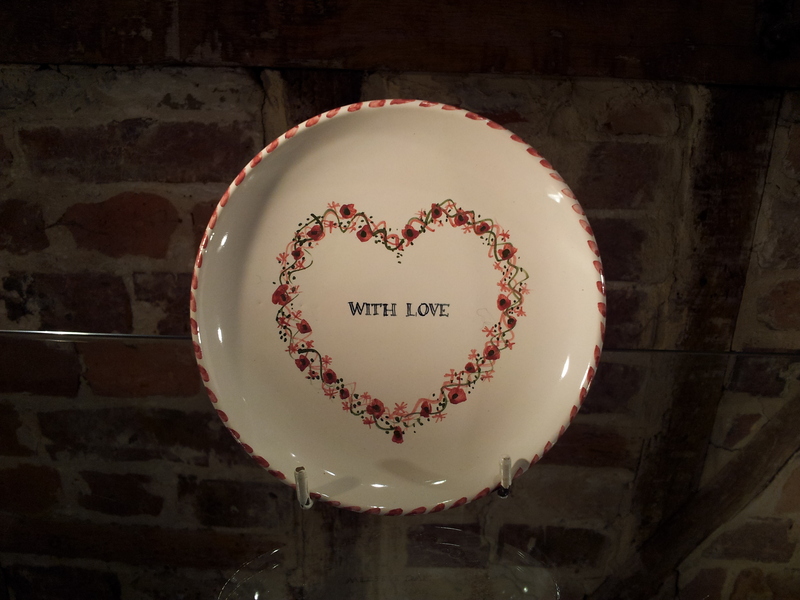 While not everyone is lucky enough to have British manufacturers flurrying to produce a host of products to commemorate their special dates, here at Rye Pottery we produce beautiful one-off designs and pieces for personal and corporate special occasions – weddings, christenings, even just plain old Thank You’s! 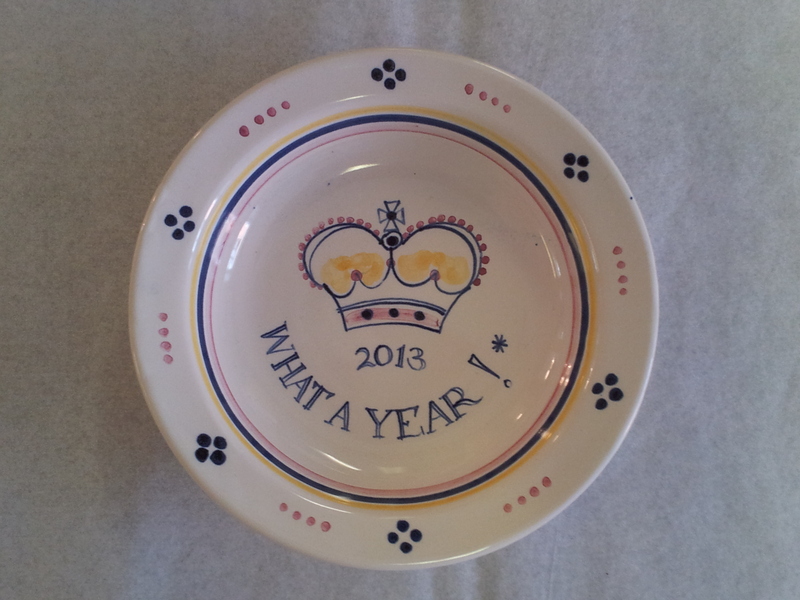 Every piece is individually hand-made, hand-lettered and decorated to order. 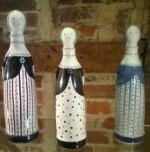 Click the following link to visit our shop and see some examples of our Bespoke Ceramics.